Physical activity is an important consideration for weight loss. One of the easiest ways to increase your total daily physical activity is to walk more. Not only can walking aid weight loss, but it also plays a significant role in mental and emotional wellbeing. Considering our mental and emotional health is important to ensure weight loss is sustained in the long-term. Walking alone is usually not enough to significantly reduce body fat. A summary of studies, published by the American Journal of Medicine, stated that moderate-intensity aerobic exercise (such as walking) alone is not an effective weight loss therapy. The most effective exercise for fat loss is more high-intensity exercise or resistance training. Walking should be included as a single piece of the weight loss puzzle, alongside diet, resistance training, and behavioural change. This holistic approach to health is much more effective for long-term weight loss. That being said, engaging in any physical activity is beneficial for your health. To lose weight, the aim is to burn more calories than we consume. Walking is a simple, free way to burn some extra calories and improve your health. If you are new to exercise, walking can also be a fantastic first step to incorporating exercise into your routine. Walking is fantastic for your overall health. Walking alone is not enough for significant weight loss. How much walking for health? A commonly cited guide of how much to walk is 10,000 steps per day. Government bodies use this number as a guide to try and encourage you to reach the recommended 150 minutes of moderate aerobic activity per week, alongside strength exercises. However, there is little scientific backing for the 10,000 step claim. It was originally born from the invention of an early pedometer in Japan named the ‘Manpo-Kei’. This literally translates to a ‘10,000 steps meter’. They arrived at this number by assuming that if people increased their steps from around 4,000 to roughly 10,000 they would burn an extra 50 calories per day. In essence, it was guesswork. One reason why this is a particularly arbitrary number is that walking speed greatly varies between adults. For example, active people can reach 4,000 steps in a 30-minute walk, whereas less active people might only reach 3,100 steps. The idea of having a number goal is to provide motivation to increase physical activity but is by no means a rule. Another reason is that doing fewer steps but at a brisk pace might benefit us more than hitting the 10,000 mark each day. In a BBC documentary exploring fitness, medical journalist Michael Mosley demonstrated that people found it easier to stick to a daily regime of 3 10-minute brisk walks (totalling around 3,000 steps) compared to 10,000 steps. The brisk walking group ended up completing 30% more moderate-vigorous physical activity than the 10,000 steps group, which has the greatest health benefits. This suggests that less time moving but moving at a brisk pace is easier to adhere to as well as more beneficial to your health. A brisk pace varies between individuals but is roughly 3 mph. Brisk walking can be characterised by warming you up while increasing your heart rate and breathing to the point where you can still talk but not sing. It is difficult to keep tabs on how long or far you have walked. The BBC reports that the average Briton walks between 3,000 and 4,000 steps a day. 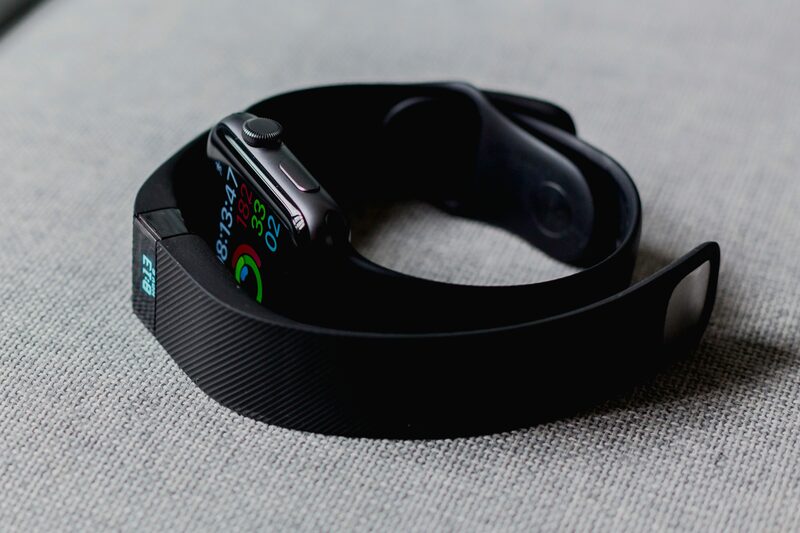 To help you track your movement, a fitness tracker can be incredibly helpful. Fitness trackers keep a close, accurate eye on how much you’re moving, and how much distance you’re covering, as you go about your day. This can be both educational and motivational – as you get a realistic picture of how many steps you truly take in a single day, you’re inspired to move some more. 10,000 steps is an arbitrary number. Shorter but brisk walks are more beneficial to health and weight loss. A fitness tracker can help you keep tabs on how much you’ve moved. Brisk walking is a moderate form of aerobic activity. Aerobic exercise uses oxygen to provide energy for your muscles. So by brisk walking for an extended period of time, you are basically burning up energy. This happens at a relatively slow rate but over time can aid weight loss by positively impacting your energy balance. Examples include any type of cardio that you can maintain for a while, such as jogging and swimming. Benefits of this form of exercise include increased stamina and reduced risk of heart disease. However, national guidelines recommend full-body strength exercises twice a week, as well as 150 minutes of moderate aerobic activity. Brisk walking can certainly aid weight loss but is not enough alone to lose a significant amount of weight. For significant weight loss, strength exercises should be included alongside walking and other moderate aerobic activity. Strength exercises fall under the category of anaerobic exercise. During anaerobic exercise, there is not enough oxygen to satisfy the energy demands of your muscles, so your muscles begin to break down glucose instead. This is characterised by short bursts of intense physical activity that push you to the max and are hard to sustain for extended periods of time. For example, squats and weight lifting. This type of exercise increases fat burning, builds muscle, and strengthens bones. A year-long study, comparing the effects of aerobic and anaerobic exercise, demonstrated that the combination of both resulted in the most fat loss. Insulin resistance is likely to play a large role in weight gain. This is the state where your body doesn’t effectively respond to the hormone insulin. Insulin lowers your blood glucose levels by moving glucose from your blood into your cells to be used for energy. When you don’t respond to insulin, your body releases even more after eating in an attempt to bring your blood sugar levels down. This results in higher levels of insulin floating around your bloodstream. Since insulin promotes fat storage, being insulin resistant means you store fat a lot more easily. It also means that your blood sugar levels are higher than they should be since your body is not responding to the insulin that lowers this level. Having insulin resistance and higher blood sugar levels over an extended period may indicate that you’re at high risk for developing type 2 diabetes. It also makes it harder to lose weight. When you do strenuous exercise or lift weights, your muscle cells are hungry for glucose. To feed themselves, muscle cells enable the transportation of glucose from your blood (where excess can be harmful) to inside the muscles (where it can help you gain strength). To enable easy transportation of glucose into your muscles, your muscle cells become more sensitive to insulin. Remember – insulin is the hormone that enables glucose to enter the cells from the blood. This has the additional effect of reducing your total blood sugar levels. Therefore, the overall effect of high-intensity exercise on your body is that it reduces insulin resistance by increasing your insulin sensitivity and lowering your blood sugar levels. Both of these are positive things for losing weight and improving blood sugar control. As if there wasn’t enough reason to up the intensity of your exercise, research shows that muscle tissue increases your metabolic rate. This means muscle can burn calories more than fat, even when we are resting. Including power walking intervals (where you up your walking speed). Incorporating body weight exercises, such as walking lunges. Anaerobic exercise can reduce your blood sugar levels and make it easier to lose weight. Increasing your muscle tissue can increase your metabolic rate, helping you burn more calories. You can engage your muscles while walking in a variety of ways, such as walking uphill. The Mayo Clinic highlights that walking not only aids weight loss but also provides significant mental and emotional health benefits. Having trouble concentrating? A walk will gently re-energise you and help you focus afterwards. A brisk walk stimulates the release of endorphins, which help to reduce your stress levels and make you feel happier. 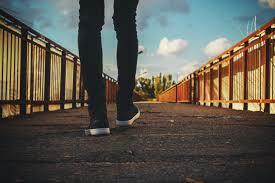 A study conducted with middle-aged women demonstrated that 2 sessions of brisk walking per week, alongside 2 other aerobic exercise sessions, significantly improved participants’ quality of sleep. Enjoy the benefits of being outdoors, such as fresh air and increased vitamin D. In Denmark, they focus on wellbeing by encouraging people to go outside at lunchtime in the summer for some fresh air, vitamin D and a proper break from your desk! Leaving your house 10 minutes earlier and adding 10 minutes of walking into your journey. Going for a 10-minute walk in your lunch break, rather than sitting indoors. Walking to the shops instead of jumping in the car. Getting off the bus one stop earlier to walk the last part of your journey. Taking the stairs instead of the lift or escalator. Walking your dog for an extra 10 minutes a day. Try changing your typical walking route about town, whether going to the shops or to work, with a new street or two. It can lead to the discovery of new places and keep things interesting! Catch up with friends and family on the weekends by going on long walks instead of having a sit-down coffee. They might even know some good routes in your area! Join a local walking group. Not only are groups enjoyable but they can provide you with extra support and advice. There are lots of organisations and information online to help you do so. Get a walking buddy! Ask a friend or family member if they would like to commit to going on regular walks with you. This creates accountability and can be a fun activity. Prioritise walking time by using 10 minutes here and there. Make small changes one at a time, such as taking stairs instead of lifts. Mix things up when you have time, for example, get yourself a walking buddy! Brisk walking is fantastic for your overall health and can aid weight loss. It is recommended to aim for 10,000 steps a day. Aerobic exercise combined with walking is much for effective for weight loss than walking alone. Prioritise walking time and make small changes one at a time to your routine. With the OurPath programme, you are given an activity tracker that is linked to your profile so you can effortlessly record your steps. You are also provided with simple resistance training workouts tailored to your ability. Your qualified health coach is with you every step of the way to support and advise you. Take our health quiz here to find out more.